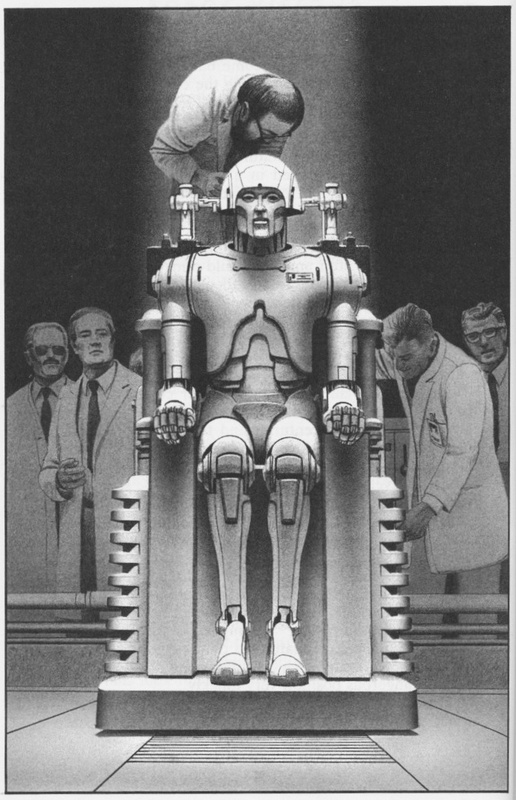 I, Robot is a collection of nine sci-fi stories, tied together by the narrative of the fictional "robo-psychologist" Susan Calvin, and the Three Laws of Robotics. From the heart-warming tale of Robbie to suspenseful Catch That Rabbit to the mind-blowing Little Lost Robot (yes, it's my favourite), I, Robot is a masterpiece. Seeing as summarizing the plots of nine short stories would make this review a long and wearying one, I will only summarize one: Little Lost Robot. Annoyed at one of his robots, a researcher at a military research station aggressively tells the robot to "get lost". Following the Second Law of Robotics, the robot indeed gets lost - in a room with a multitude of other robots, identical to each other and the lost robot in looks. However, that one robot is far more dangerous than the others; its First Law has been adjusted in order to fit with the job it does, and therefore using it for any other task can be fatal, as the First Law has been adjusted thus: A robot may not injure a human being. However, through inaction it may allow a human being to come to harm. Therefore, it is essential that the researchers now distinguish between the normal robots and this one! The fact that the robot does not want to be found makes it the heck of a lot harder - and it seems an impossible task, until Dr Susan Calvin arrives and designs a series of tests. After the robot fools them a couple of times, they design an ingenious test, and find the robot. The beauty is in the telling, so I very much recommend you to read the story!